Modern cameras can reproduce the world with utter, clinical accuracy. The trouble is, it turns out that’s not what we wanted after all. A lot of the time, what we actually want is the faded, distressed, imperfect look of analog photography. 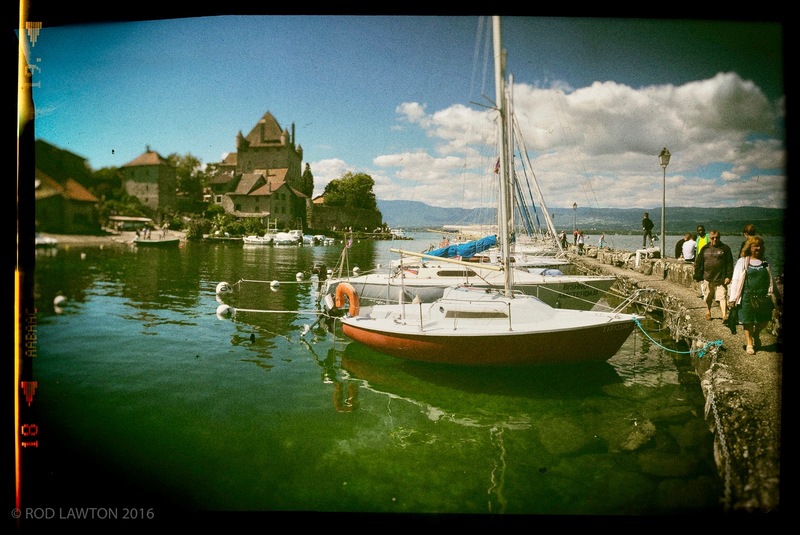 So here are six top tips for getting that analog film effect ‘look’ with digital images and software. I’m using Analog Efex Pro in the Google Nik Collection, but other programs will do just as well – you can now find these six basic analog ‘cues’ in many different apps. Film doesn’t record colours and tones with the same forensic accuracy as sensors. It has its own colour response, its own foibles and its own character – and older film adds colour shifts and fading into the mix. We’ve come to expect this from old photos, so it’s important part of the analog effect. 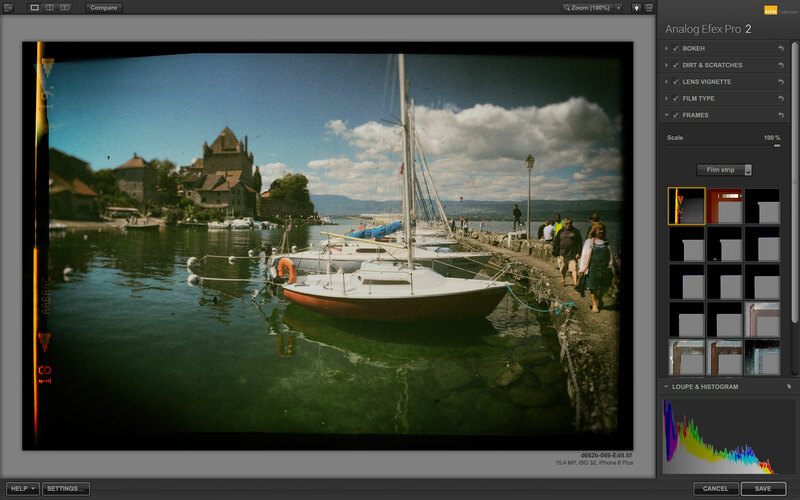 This is the Film Type module in Analog Efex Pro (Google Nik Collection). It offers a number of different ‘films’, each of which reinterprets the original image’s tones and colours – in this split window you can see the original image on the left and the film effect on the right. Old films are grainier, and the noise of high ISO shots is not the same at all. Film grain is coarser, softer and more randomly ‘clumped’, and you need a proper film simulation tool to replicate the real film ‘look’. Fortunately, most programs are now good at simulating film grain. The Grain effect in Lightroom is particularly impressive, and the Film Type module in Analog Efex Pro also has sliders for adding film grain. Don’t go mad. Make sure you zoom in to a magnification that’s going to represent a realistic print size as you judge the settings. Older lenses are less optically advanced than modern ones, especially the lenses used in mass-marked snapshot cameras. And one of the characteristics of older lenses is vignetting (or ‘corner shading’). It happens when the lens’s image circle is only just large enough to reach into the corners of the negative area, or it’s not been optically corrected to produce uniform brightness across the frame. 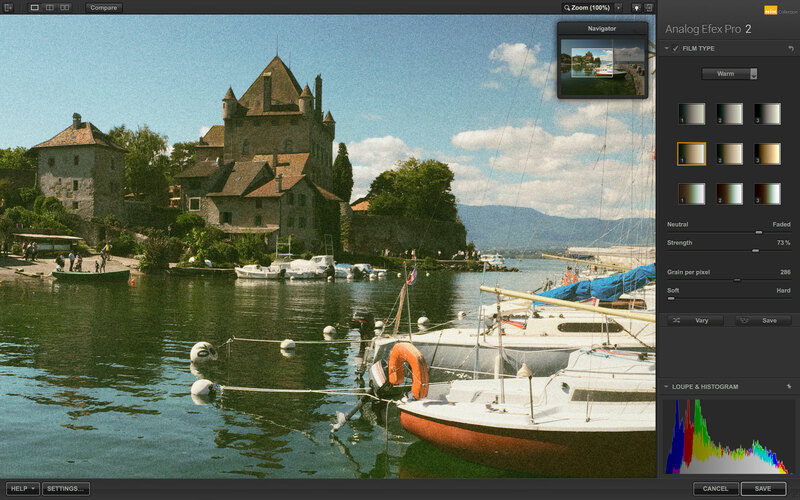 Analog Efex Pro is not the only software to offer a Vignette effect – many others do too. Typically, you can adjust the degree of darkening, the shape of the vignette (circular or rectangular) and its size and softness. Analog Efex Pro’s Vignette module goes further by allowing you to move the centre of the vignette around the frame, so you can also use it as a way of drawing attention to the photo’s focal point. Digital ‘bokeh’ (defocusing) effects are not always very convincing – it’s very difficult to simulate three-dimensional depth of field convincingly in a flat, two-dimensional image after it’s been taken. However, ‘bokeh’ tools have another use. Many older and cheaper lenses also suffer from edge softness – they simply aren’t as well corrected at the edge of the frame as the centre – so this is another useful visual ‘cue’ for achieving that analog look. 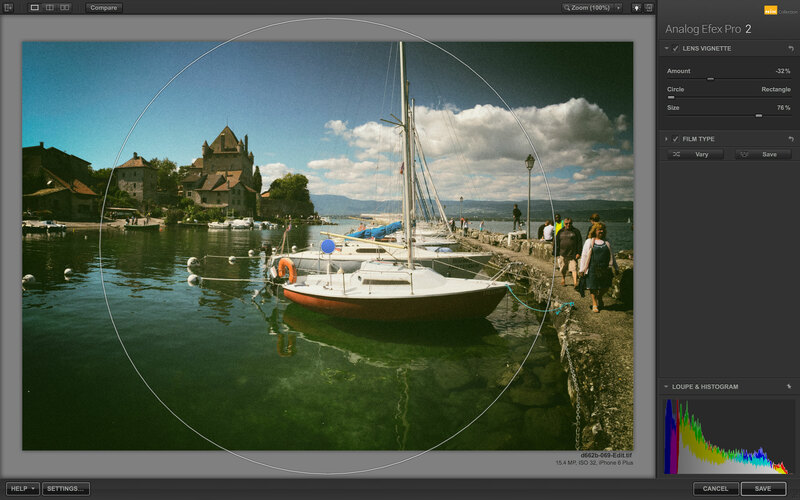 Typically, you’ll be able to move the centre of the bokeh effect around the image and change its shape and strength. You can use this to place the point of sharpness on your photo’s focal point, but remember the main function is just to soften up the edges of the picture. Amazing, isn’t it? We spend ages trying to clone out every little sensor spot in digital images, or every little dust or hair mark on a darkroom print (remember those? ), but actually its these imperfections and fragments of debris that give old images that ‘authentic’ look. 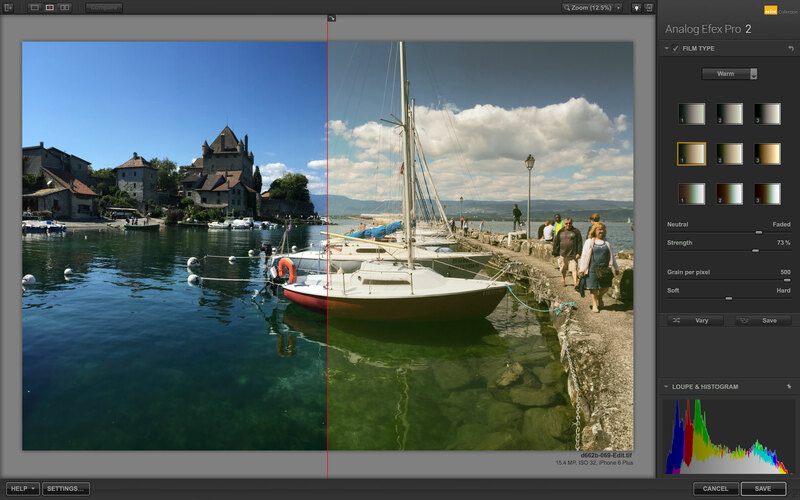 So bizarrely, we now need software to put dust and scratches back in – but under proper control so that they enhance the photo’s ‘look’ without completely ruining it. Analog Efex Pro, like other ‘analog’ apps’, can overlay a selection of different dust patterns, mould spots and scratches with a strength slider to give them just the right prominence. Lastly, don’t underestimate the power of a photo frame to finish your picture off. These can work on two of levels: (1) as a visual representation of real photo frame types popular in the past; (2) as a compositional aid to enclose the picture and give it a clear boundary. 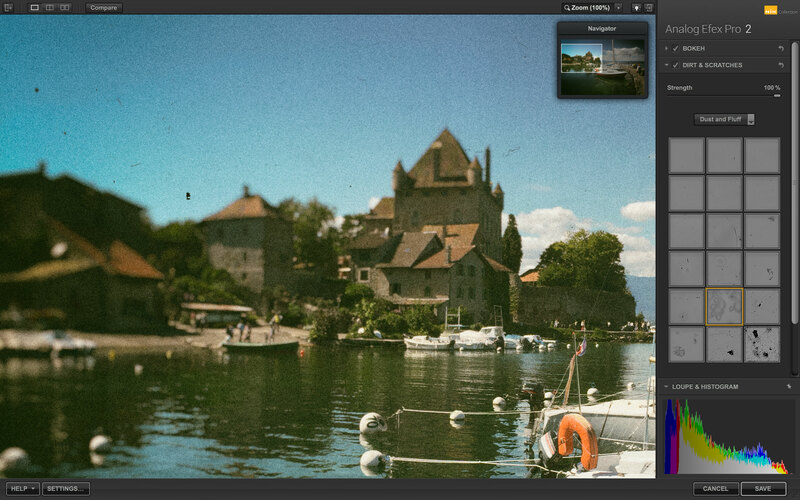 This one’s been applied in Analog Efex Pro, but other programs are just as good for frames, if not better. There’s a terrific selection in Alien Skin Exposure X, for example, and a good choice in ON1 Photo 10.5. In fact there are lots of really good analog effects tools out there. I really rate Analog Efex Pro, partly because of its additional effects you won’t see anywhere else (I’ll look at those in another post) and partly because it’s now free, along with the rest of the Google Nik Collection. So here’s my picture with all six effects applied. You might not want to use all six of these analog effects on every image, but they each have a part to play in creating that evocative analog ‘look’.